Weeks after the Indian government unveiled the country’s first ever air pollution reduction targets, new data has revealed the number of cities violating the country’s air quality standards is more than twice as high as previously thought. The National Clean Air Programme, published earlier this month after months of waiting and years of campaigning by Indian civil society, set a target of reducing levels of toxic particle pollution by 20 to 30% by 2024, from 2017 levels. The plan includes a list of 102 cities violating the country’s air quality standards that are required to prepare city-level action plans and expected to achieve the reduction targets. But a new map of regional air pollution levels, produced and analysed by Greenpeace India, shows that the number of cities where air quality standards are being violated is more than twice as high as the cities that are required to take action as a part of the national plan. 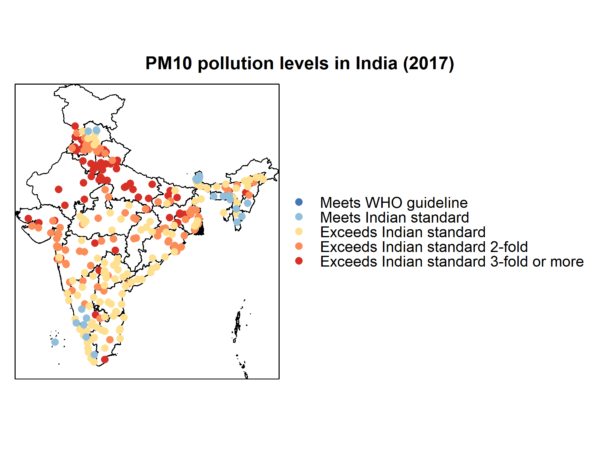 Out of the 313 cities for which there is data, 241 had PM10 levels exceeding the standards, with data for nearly 400 other cities still missing. 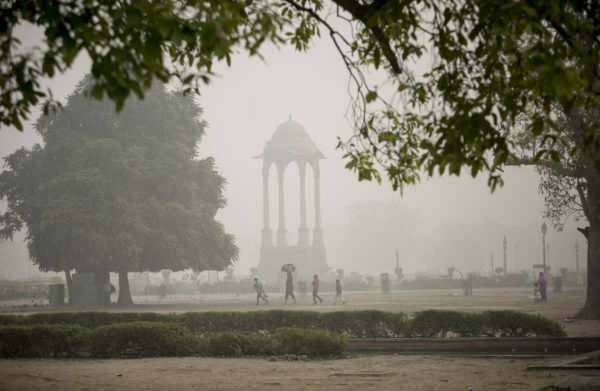 In recent years India’s air quality has deteriorated to the point where it has become the most consistently smoggy country in the world, with pollution levels even exceeding those in neighbouring China. Not only do the new numbers show the need for urgency in reducing particle pollution levels across the country, they also highlight that even a 30% reduction would just be the beginning. Even if a 30% reduction was achieved across the country, more than 150 cities would still violate India’s national air quality standards, and these standards themselves are four times as lenient for PM2.5 as those recommended by the World Health Organization (40 micrograms per cubic meter in India vs. WHO guideline of 10). Not a single city among the 313 cities with data met the WHO guideline. 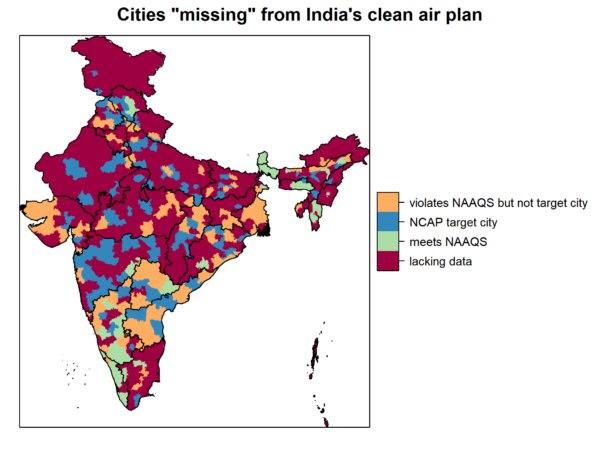 India’s clean air programme includes a long list of recommended measures, but leaves implementation largely in the hands of each of the 102 cities that are supposed to come up with their own action plans. The programme, however, currently lacks a legal status, specific city-level targets and an implementation budget commensurate to the challenge, which leaves a lot of work to be done before the recommendations and targets are made into reality. The government has come a long way from first promising a national-level action plan a year ago to setting at least tentative, measurable targets for which it can be held accountable. China’s National Air Pollution Prevention Action plan, released in 2013, turned around a rising trend and achieved record reductions over the four-year period to 2017. India’s air pollution levels continued to climb over the period, with the average Indian being exposed to more particle pollution than the average resident of China, for the first time on record, in 2015. Greenpeace India compiled the data from government websites and through numerous right-to-information requests to state and city Pollution Control Boards which monitor air pollution levels but have been sluggish in publishing the data.